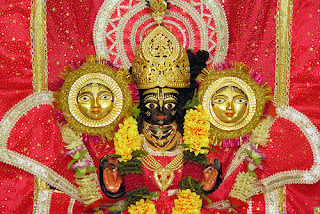 Please accept my dandavat pranam. This is to inform you that Srila Bhakti Kumud Santa Maharaja, one of the last living disciples of Srila Bhaktisiddhanta Sarasvati Thakur Prabhupada has departed for Goloka Vrindavan. Srila Santa Maharaja was an outsanding preacher through his life. He was very dear to his godbrothers and to his Spiritual Master. Srila Santa Maharaja left the world in Calculta where he had spending the last years in his bed, deeply absorbed in the welfare of all living entities. Despite of his state of being abscend minded from the mundane fares, he still received thousands of visitors and even initiated many new sannyasis into the preaching invitation his gurudeva made to the whole world. Strict sannyas general, he capted eiaght eract in giving amazing example. 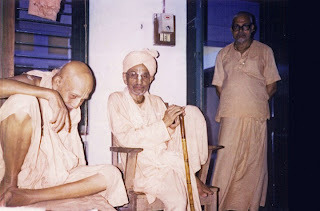 It was also fantastic to see that His disciple, Bhakti Vichar Bharati Maharaja in mayapur, was able to open Srila Bhakti Kumud Santa Maharaja's glorious Mandir on the Bhaktisddhanta road, just a few months before the final samadhi of Srila Santa Maharaja. Srila Bhakti Pramode Puri Maharaja's functions; always describing himself as his juniors. 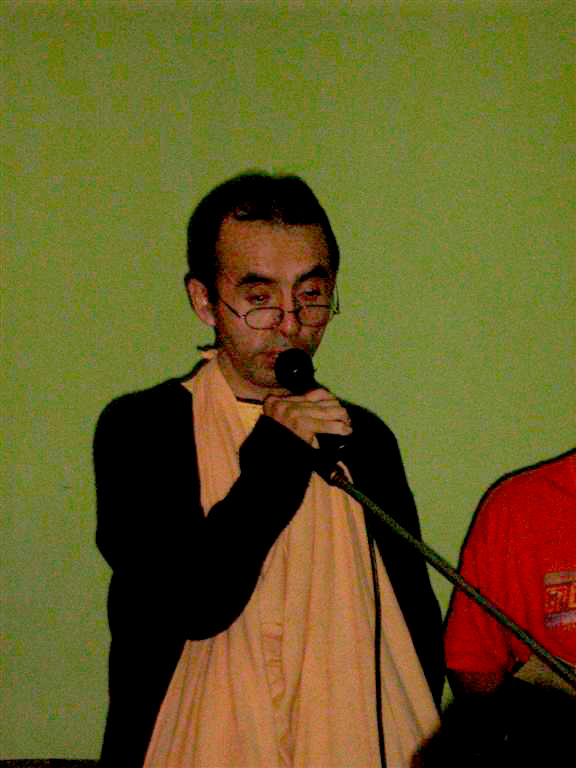 He joined Srila Bhaktisiddhanta Sarasvati Thakur Prabhupada's Mission when he was still a young boy and, as he told me personally, Srila Bhakti Pramode Puri Maharaja had been a tutor for him in his early stages of math's life. 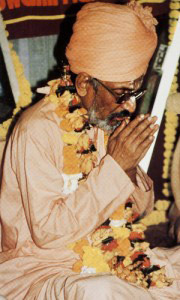 Srila Santa Maharaj was an enthusiastic and fired preacher, who spare no effort to defend the Bhakti - Siddhanta. Anyhow, but on the very personal level he was extremely kind and affectionate and always able in many occasions to rejoice and witness his caring nature. He and His disciples were also caring members of the World Vaishnava Association, even for some many years they were intensely preocupied with his state of health. Santa Maharaja's glories will be heard all over. Recently I visited Surya Kund in Braj, where one of his sannyas disciple called Madhusudhan Maharaj is taking care of the restored Surya Narayan Mandir, and I saw a big and beautifull picture of Him being worshiped there, that was my greatest joy. His sannyasis and disciples will continue His legacy which increase power and love getting his backing now directly from the Spiritual World. Even though it is sad that we miss His physicall association now, it is also glorious and extathic how this last great acarya of Srila Bhaktisiddhanta Sarasvati Thakur, held up the banner of preaching even while lying in the bed. Another sannyasi, also called Santa Maharaja, left the world on the same day in Lima - Peru; he had received his sannyas name Bhakti Vedanta Santo Maharaja in respected memory of Srila Bhakti Kumud Santa Maharaja for being excelent preacher for more than 20 years. By mystical arrangement of Srimati Radharani, this two Santa Maharaja left this world practically at the same hour. Srila Bhakti Kumud Santa Maharaja, ki jay!